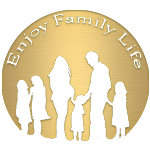 Airport – Enjoy Family Life! Business plane parked in an airport with seats on foreground. Focus on the plane.